Steve Wozniak has shed some light on this youth and the important role that he sees mobile playing in today’s age after a letter he wrote to a Korean high-school student was released in to the public domain by her school. Apple co-founder Wozniak was the star guest at the Jeju Forum for Peace and Prosperity held in June last year, during which he discussed ‘The End of the PC Era and Future of the IT Industry’. The talk made such an impression on one student — 19-year-old Yang Yeon-su — that she wrote to him, explaining that the school doesn’t get “many opportunities to talk with successful people” due to its rural location. Yang’s letter — translated by yeonhoyoon.tumblr.com — asks for “some hopeful messages” for the school and its students. 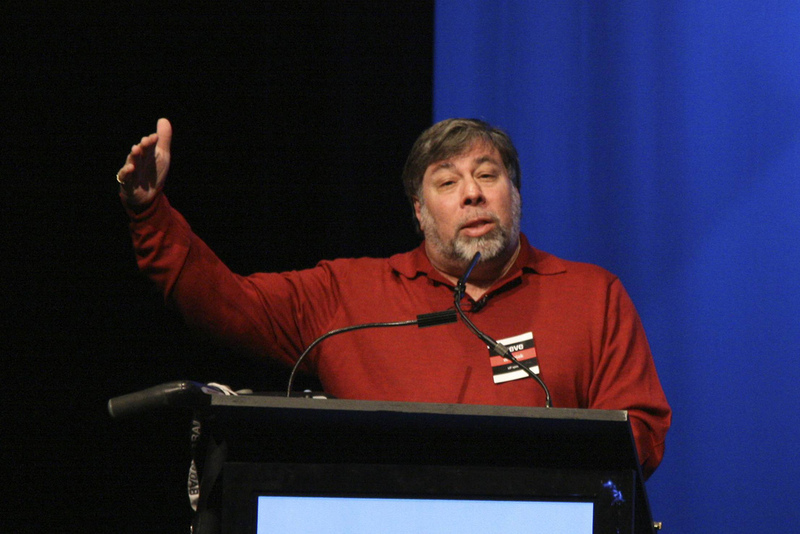 The response from Wozniak covers a number of different topics. Here are a few excerpts we’ve highlighted. Every aspect of our lives and our companies will be changing and improving based on mobile technology. Young people are already ahead in this game and have good ideas of how any operation can be improved. Always focus on good human interface, user interface. Computer apps are not to be judged by what they do or how well they do it. Rather, it is more important that they feel natural to normal humans and they are led to the right actions. An ultimate example is when you speak what you want. If you don’t have to worry about having the right computer words, but just speak it as you would to a human, then the computer has totally gotten out of your way. Finding ways to do this will be very important in the future. The smartest approaches come from understanding normal people. And every action you take on a smartphone has the ‘other end’ – the servers and storage in data centers. They are doing more calculation and organization and presentation of information than your handheld device, which is mainly displaying the results these days. The cloud represents the information content of the world, which could never be put on the storage [disk] in your mobile device, or even your personal computer. It‘s easy to see a world of job opportunities writing apps but don’t forget the importance of implementing the data center side of those apps. There‘s a lot of work to be done at that level too. Apps are like furniture. There are infinite variations until we have a few standards that change little. So this is a huge opportunity in the future. While new technology is providing access and information in new ways worldwide — such as access to government ministers — email, a much maligned communications platform, is also making the old fashion route of direct conversation all the more possible. It’s pretty amazing that Wozniak can inspire a student from across the world in this way.